Bank of America is the largest bank in the United States in terms of assets (and among the largest banks in terms of market capitalization). It originated in California and expanded – through organic growth and mergers – to become a truly global institution with a presence in 150 countries and an unrivaled U.S. network. Bank of America has put a lot of emphasis on developing its brand and diversity: its activities range from personal banking to investment and securities management. The Bank of America saga began in 1904 when Amadeo Giannini, an Italian-American from California, decided to create a specialized bank called Bank of Italy. The San Francisco-based bank was founded in order to provide financial services specifically to immigrants who encountered difficulties due to their foreigner status. The massive earthquake that hit San Francisco in 1906 turned out to have a silver lining for Bank of Italy: having been able to salvage most of its assets, the bank was able to stay in business – which helped build its reputation of reliability. In the wake of the great 1906 disaster, Giannini decided to expand throughout the whole of California, partly in an effort to spread the bank’s risks in the future. In 1927, in a move that would turn out to be a very important one, Bank of Italy joined forces with the Los Angeles-based Bank of America. Bank of America spent most of the 20th century growing within its home state of California and diversifying its activities. 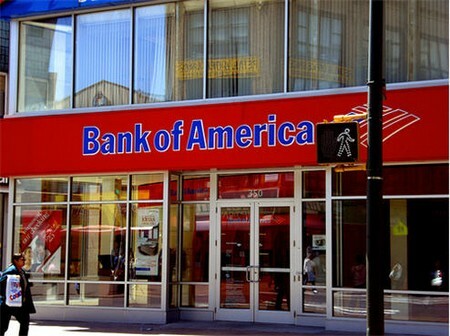 Federal regulation prohibited Bank of America from expanding into the rest of the country until the 1980s. That change in legislation is what allowed Bank of America to become the bank it is today. The bank’s move outside California materialized with the acquisition of Seattle-based Seafirst Corporation. That decade, however, was not a good one for Bank of America, which hit a rough patch financially due to a series of bad investments combined with the stock market crash of 1987. The then 80-year-old bank eventually rebounded, though, and picked up its acquisition efforts through the 1990s with mergers with West Coast- and Midwest-based banks. The most important merger took place in 1997 with the acquisition of NationsBank Corporation of Charlotte, North Carolina, where Bank of America is now headquartered. Bank of America has since kept building a large and diverse network to make the former Bank of Italy the biggest bank in the country. Bank of America was badly shaken up by the financial crisis of 2008, due in part to its exposure to asset-backed securities in general and sub-primes in particular. The bank took part in the financial “bailout” program launched by the U.S. government and its stock plunged. Toward the end of 2008, in the midst some of the biggest financial turmoil in recent history, a once-in-a-lifetime opportunity presented itself: Bank of America was in a position to take over one of the most prestigious investment banks in the world, Merrill Lynch. The deal went through and saved Merrill Lynch from its probable demise. Bank of America has a quite unusual history, dotted with bold moves and unlikely turns of fate. It takes pride in its rich past and continued success.